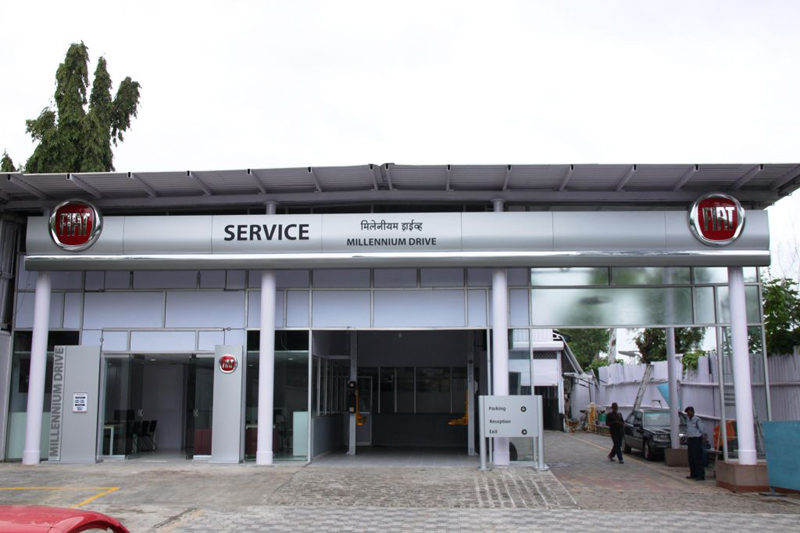 After the introduction of its Fiat Caffe in the city a few months back, FIAT Group Automobiles India Private Limited (FGAIPL) has kicked off its first independent high-tech workshop named as Millennium Drive in the city of Puneon Friday. The said exclusive Indian workshop spreads over a region of 20,000 sq ft with best of instrumentations as well as human dexterity. The workshop is specifically made to provide anenjoyable servicing experience to its clients. This is the other move by FGAIPL in escalating its brand attendance in the Indian market, after having rolled out its Fiat Caffe in the city. The clients of the company would now be capable of purchasing cars from the Caffe and will offerup anen thralling Fiat purchasing experience. Mr. Ravi Bhatia, Head- Business Development, FIAT Group Automobiles India Private Limited along with Mr. Neelesh Naik, Managing Director -Millennium Drive kicked off the first independent workshop. While talking on the occasion, Mr. Bhatia, Head- Business Development, FIAT Group Automobiles India Private Limited stated that the company’s core brand viewpoint is superlative client experience, and this has been theirguiding beliefs in all their projects. Mr. Bhatia added that this first special and top-notch FIAT workshop is their unstoppable effort to offer each of their clients with amatchless servicing experience resulting into anenjoyable vehicle ownership experience. Mr. Bhatia is sure that the discerning and trustworthy clients of the city will value owning FIAT cars. He also said that they have been concentrating on strategically growing their network in the country, and this new top-notch workshop is yet another footstep to move nearer to the clients. The company stated that the new workshop is fitted with stylish equipments and most modern technologies such as a remote sensing identification and high-tech crash repair system utilized by the firminter nationally, appended with a committed group of skilled staff who will look after all the service needs of Fiat clients.